As a new parent, you might be overwhelmed with the number of things that everyone says you must have so that you can take proper care of your little one. And while there is no denying that these tiny humans come with a lot of baggage, some items are more important than others and have a bigger role in your baby’s proper development. One such helpful product is the high chair. Every child is a bit different, but most parents should expect their little one to be ready to sit up in a high chair once he/she turns 5 or 6 months. These pieces of furniture are definitely of great help to parents as in this way they are freed from constantly having to hold their baby while feeding him/her. They also let your little bundle of joy join in some of the family’s activities, which is excellent for social development. But what are the different types you can choose from and how convenient are they? Here’s what I’ve figured. These lovelies are the more modern version of the traditional high chair. They have all the features of basic models plus some extras, such as detachable trays and an adjustable height. Plus, they can be stored in various ingenious ways. The natural leather and wooden scandinavian high chair models are perfect for any contemporary space as their beautiful profile and sleek lines perfectly complement most interior designs. 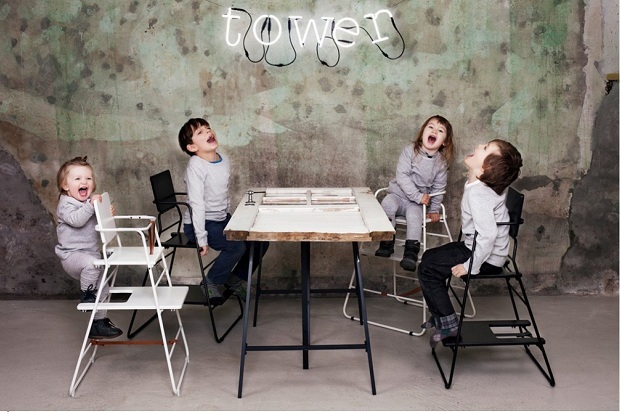 Scandinavian high chairs are usually designed with practicality in mind – crafted from high-quality leather, wood, and steel, these pieces of art are an investment worth making as they will grow with your child and will stay in a perfectly good shape to use them for many years to come. This is the simplest model of high chairs you will come across. The plastic ones are just molded plastic with harnesses and these are the lowest quality chairs. Metal framed highchairs, on the other hand, come with padding on the seat, which makes them more comfortable for your baby to sit in and eat. Some models come with trays, while others don’t. They are generally inexpensive and lightweight. Plus, most models can be folded, which makes them easier to move around and store. They are not that durable and may have some tough-to clean nooks, which makes them harder to maintain clean.